With the team leaving for Brindisi, Samardo Samuels arrived in Milano in the afternoon after finishing his duty with the Jamaican National team where he was in some spurts really impressive, although his play was not enought to qualify Jamaica for next year World Cup in Spain. 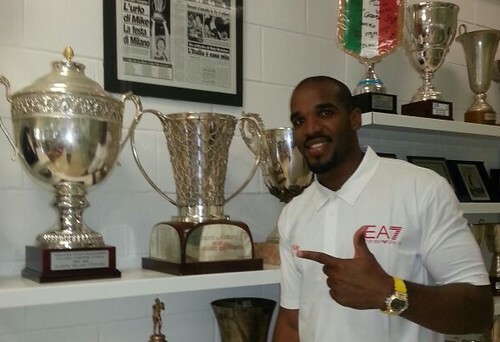 Samuels, the new EA7 Emporio Armani center, visited the club headquarters to retrieve all the team gears and then started the long sequence of medical exams. He’ll be busy all the weekend and then the schedule has him to join the rest of the team on Monday evening, maybe in time to make his debut on Thursday in Borgomanero against Galatasaray.